Customer relationship management is an on-going process, which requires smart efforts from the business side. Macshell has experienced CRM Developers in India to offer custom CRM development. We provide consultancy and development and also assist in the different stages of software implementation. Our ability to ensure quality makes us a trusted CRM Software Development Company. Customized CRM is leveraged by many business models in order to enhance the interaction with customers. Your company gets closer to the clients, customers, and stakeholders. Our custom CRM solutions empower your marketing, sales, customer support and IT team. We develop solutions that bring automation and organize your business in a better way. The flexibility of the solutions also ensures an uninterrupted growth of your business. The CRM solutions grow with the progress of your business. We can build you custom CRM software reflecting all your business-oriented features. Define your CRM vision in front of our developers and let them plan the software development accordingly. We follow a proven development approach and include the client at every step. This way, we ensure a successful customization of CRM software solution. Learn your CRM requirements with the consultancy of our expert CRM developers. We provide CRM consultancy for all business sizes and industries. Our experts get a thorough understanding of your business and present a reliable CRM development plan. Our strategies enable your business to get a perfect custom work, which maximizes the ROI for your technical infrastructure. Get expert assisted implementation of CRM software in your company. We don’t stop after the development of CRM. Our experts provide successful implementation of CRM to get the system ready for your on-going business models. We utilize reputed and affordable open source framework to develop CRM solutions. Our open source development focuses on the acquisition, possible enhancement and efficient retaining. Our developed systems become easily usable with all your existing systems. We can integrate CRM into your existing customer management models. Innovate your marketing approach with our systematic CRM integration. Our experts go deeper into the dependencies and align every technical aspect together to provide seamless integration of CRM. 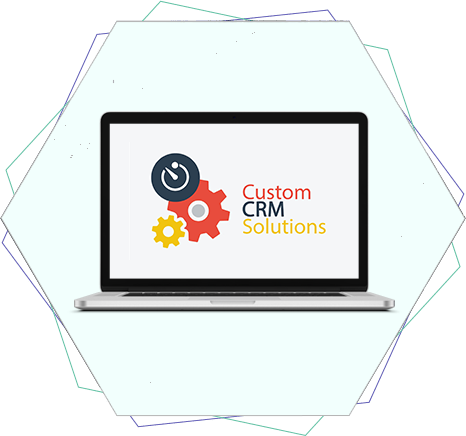 Migrate safely to custom CRM software with our expert assistance. We can plan and execute the whole migration along with the development of custom CRM. Our migration approach ensures the safety of your data and the functionality of your business. We make sure that your on-going processes get least interrupted during the migration. The team monitors and checks every step of the automated and manual migration.